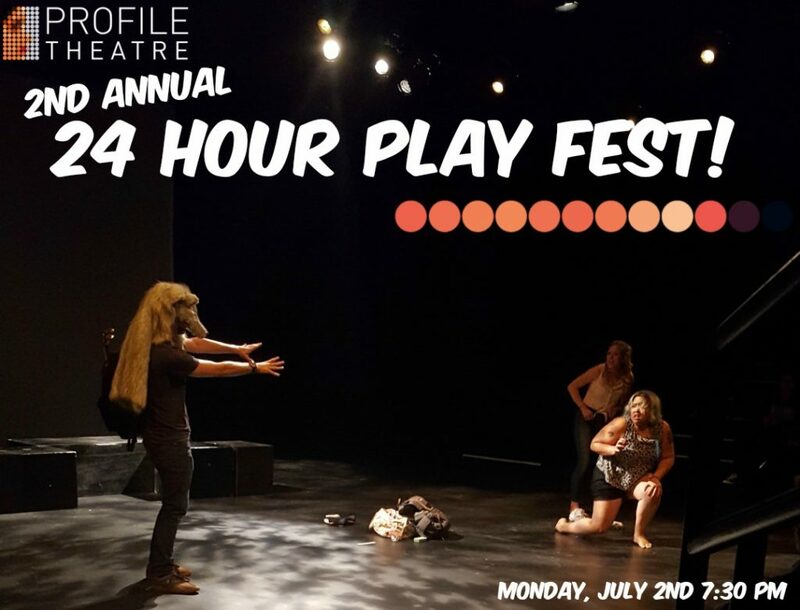 Profile is thrilled to announce our 2nd Annual 24 Hour Playfest – a wild, exciting and vibrant way to celebrate our mainstage playwrights and come together as a creative community! READY: On the evening of Sunday, July 1st over 30 local theatre artists, including directors, playwrights and performers will gather on the set of The Secretaries. They’ll be divided into 6 teams and given a prompt from the show. The playwrights will write into the night, delivering their new short plays to their collaborators by 9:00 am the next morning. SET: Monday afternoon, throughout the Artists Rep building, the teams will meet together to rehearse and polish their pieces. GO! : Monday night we share them with you in a not-to-be-missed one-night-only performance.